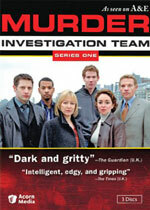 Murder Investigation Team: Mystery and Suspense on Television. 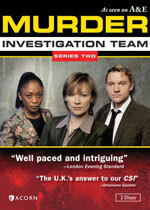 Fast paced and brimming with twists and turns, Murder Investigation Team follows the course of a criminal investigation from crime scene through profiling, forensics, and good old-fashioned detective work. Along the way, false leads, misdirection, and surprising resolutions fill each gripping hour, meticulously crafted to reflect real-life investigations.